As #TonyButler once said: ‘On yer bike’!!!! A message from Councillor Mary Locke about city cycling has been forwarded by Peter Walker, Chairman of the Stirchley Neighbourhood Forum. Would-be cyclists are being invited to apply for the latest free bike giveaway. In 2015 more than 3,500 people received an orange bike (above) and cycled over 300,000 miles which improved their mental health and wellbeing. This time the emphasis will be on encouraging families to cycle together. 2000 free Raleigh bikes are being offered to families and residents in the most deprived communities as part of the next phase of the Big Birmingham Bikes scheme. 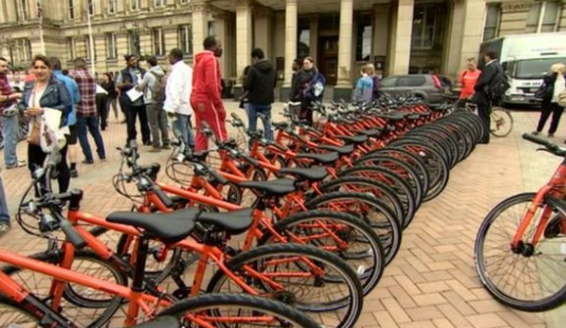 Part of Birmingham City Council’s Birmingham Cycle Revolution, Big Birmingham Bikes aims to encourage people of all backgrounds to cycle regularly by offering free bikes to those unable to afford them. 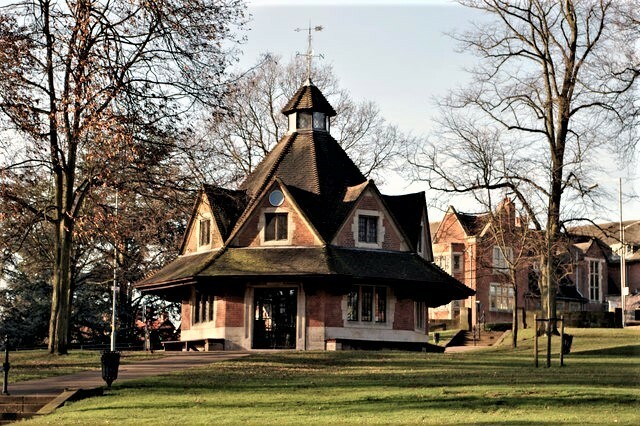 In a recent programmelargely focussing on Port Sunlight in the Wirral, the presenter of the Juniper production for BBC Radio 4, Lynsey Hanley, rather gleefully noted the overturning of the Victorian ban on alcohol in the village of Bournville – a conservation area. The Quaker Cadbury family, who practised temperance, ruled in 1895 that alcohol could not be consumed or sold within Bournville, in order to help workers to stay healthy. Ms Hanley is advised to read the accurate statement in the Birmingham Post which explains that the 120-year-old ban on alcohol sales in Bournville remains in place. Monty Python’s Spamalot is at the New Alexandra theatre until Saturday 7th October and it is fantastically funny. Written by Eric Idle, It describes itself “A new musical lovingly ripped off from the motion picture Monty Python and the Holy Grail” this is a must see show for all Python fans and it includes the song Always Look On the Bright Side Of Life.